Warning - "Emotional Freedom Techniques"
An email came in from a consumer asking our opinion on a workshop to be held in Phakalane next month entitled “Relax And Repair With EFT” or “Emotional Freedom Techniques”. In other words he’s not a scientist and it’s not scientific, he’s spiritual because he’s been ordained by a silly made-up church in the home state of silliness, but his ridiculous EFT isn’t spiritual. So they just tap you? On your non-existent “meridian points”? So it’s like acupuncture, which all the evidence suggests is pseudo-mystical, pseudo-scientific claptrap, but without the one thing that might plausibly do anything? 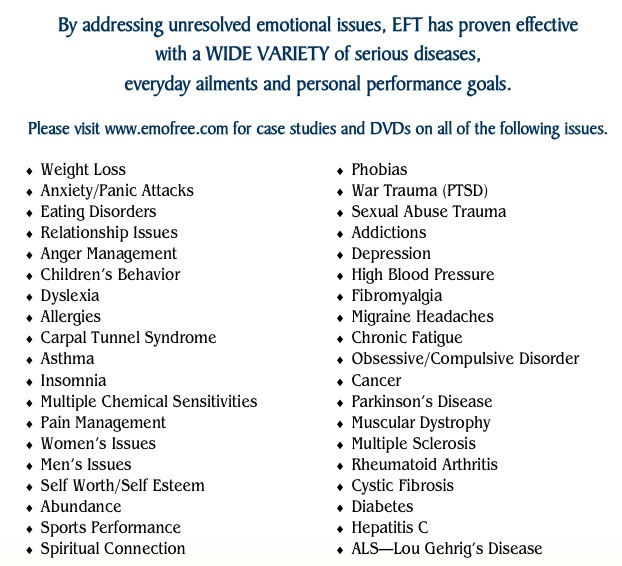 These charlatans claim that EFT can be used to treat asthma, high blood pressure, depression, diabetes, Parkinson’s disease, multiple sclerosis, cyctic fibrosis and even sexual abuse trauma. Based on these extraordinary claims I say we should run these extraordinary charlatans out of town! There are simply too many things wrong with TVI Express. Yes, of course it's a pyramid scheme but here's more, so much more. For a very full analysis of TVI see here. It includes details of the special introductory rewards you allegedly receive, but in fact you have to pay "processing fees and taxes" before you see any of them. Others have commented that the pyramid mechanism itself is flawed and success unachievable. Yes, the vouchers really are stupid. To begin with they're worthless. Instead of spending serious money joining to get them why not buy similar vouchers much more cheaply? It's also alleged that their membership list that scrolls on the right side of their web site is static, it never changes. This does seem to be the case. TVI distributors have claimed that companies Virgin Atlantic, Lufthansa, Avis and Marriott were their "partners". This is simply a lie. Apparently Lufthansa and Avis sued TVI Express to stop them saying this. "Lakeside House, 1 Furzeground Way, Stockley Park, Heathrow UB11 1BD"
Heathrow is NOT in the UB11 postcode, which refers to Uxbridge. Heathrow is in the TW6 postcode area. Previously they claimed to be based in an office in central London, only for it to be discovered that they weren't know at the address they gave. They now claim to be based in an office in Cyprus but the same thing has happened again. There are reports that the address they give (Louki Akrita 14, Agiazoni, P.C. 3030, Limassol, Cyprus) is also shared with other companies. Their UK phone number only goes through to an automated answering service, that says, when I last called, that I would be answered after 46 minutes. A number of TVI Express distributors have been arrested in China and charged with operating a pyramid scheme. Indonesian authorities are on the case. They are under investigation in Hungary. Don't deal with them. They're a pyramid scheme. Ventura Capital Partners - still steer clear! "This is to confirm that our warning issued in May still stands. Persons conducting business with this entity do so at their risk." Two weeks ago we warned people not to get involved with a pyramid scheme calling itself TVI Express. One of their local distributors got in touch to suggest that they are a legitimate business and not a pyramid scheme at all. First point. We always welcome feedback, whether you agree with what we say or not. Second point. I disagree. A pyramid scheme is characterised by focussing more on earnings from recruitment of people beneath you rather than on an actual product. That’s what you get with TVI Express, particularly as there is no real product, only discount vouchers. Discounts aren’t products or services. You have to spend money in order to receive the discount. 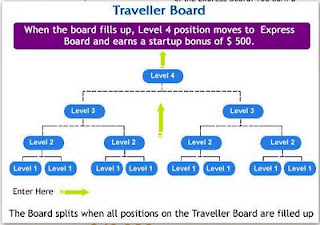 TVI Express only offer you the chance to make money if you recruit people into the pyramid. Finally, it’s not just Consumer Watchdog that believes TVI Express is a pyramid scheme. In May the Australian Competition and Consumer Commission obtained restraining orders against three people who were trying to recruit victims into TVI Express over there. Meanwhile we needn’t worry too much. TVI is already scaling back it’s operations and is being overtaken by it’s replacement, an almost identical pyramid scheme called Pyxism, also available here in Botswana and also a pyramid scheme. Why do people fall for scams? Are they stupid? Are they just naïve? Are they just greedy? I don’t actually think people are stupid, I honestly don’t. Well, OK, not all of them. Let’s face it, some are. I’ve written before about the filling station manager up north who a couple of years ago was conned out of P70,000 by a couple of enterprising con-men who promised him that their magic box would double any money placed inside it. Rather than engage his brain and demonstrate even the slightest hint of skepticism he placed the filling station’s takings in the box and an amazing thing happened. The box, the money and the con-men disappeared, as if by magic. That’s pretty stupid but his complete stupidity was demonstrated the following day when he fell for exactly the same trick again. He placed another P14,000 into the magic box, this time offered to him by two friends of the original crooks. So yes, there are some people who are just catastrophically stupid. Others are just naïve, which isn’t the same things as stupidity. My dictionary defines naïve as “showing a lack of experience, wisdom or judgment”. We’re all naïve at times, before we learn things. The most obvious example I have right now is those people who fall for “advance fee”, dual-location conference scams. These scams involve a victim receiving an email out of the blue inviting them to attend a conference that will be held in two locations. The email offers to pay for their flights, food, drink and their hotel bill. However, as always, there’s a catch. The scheme only pays ONE of the hotel bills, the victim is asked to pay the other. Needless to say, the victim thinks this is a small price to pay to attend such a prestigious conference in a far-flung exotic place at someone else’s expense. They don’t think too much about paying that single hotel bill. However their naïveté shows itself when they do what the scammers ask – they pay the hotel bill up front. Nobody ever pays hotel bills up front. I have stayed in countless hotels across four continents in my career and I have NEVER paid a hotel bill up front. Not once. But here’s the thing. I’m not the target of this scam. The real targets are people who have NOT stayed in hotels before and who are understandably naïve about hotels and travel. They willingly pay up front because they believe the scammer who tells them that this is normal practice. They are also naïve enough to think that you should pay a hotel bill up front using Western Union. OK, they’re also naïve enough to think that there are organisations that have nothing better to do than pay total strangers to go to a conference. Pyramid schemes also rely on naïveté. They rely on most of us not understanding basic arithmetic. Pyramid schemes, and their not very distant relatives, multi-level and network marketing companies work because most of us don’t understand exponential growth. Few of us can instantly see in our heads that any system that relies on each victim recruiting more victims, who each recruit more victims and so on quickly exhausts the available pool of potential victims. They also don’t understand that the money doesn’t add up either. Almost all people recruited by multi-level marketing companies end up achieving their targets by buying products themselves, not because of the success of the business beneath them in the pyramid. On the few occasions big MLM companies have been forced to disclose their data, it has shown that less than 1% of recruits ever make any profit at all. It’s general naivete that allows them to continue. Well, that and secrecy, lies and threats against their critics. Unfortunately there is another element to it. One that is not so easy to accept and excuse. Greed. Traditional “419” scams rely entirely on greed. You all know the story by now. An email arrives from a total stranger, this time offering you a share in an illegally obtained fortune if you help the person who emailed you extract it from their country. Almost always it is either made perfectly clear or obviously implied that the money has been dubiously obtained. They rely on our greed to tempt us to cooperate in their pretended plan. Of course sooner or later the “advance fee” emerges, either a legal bill, a bribe or a transaction fee, and all you need to do is pay it and the fortune is yours. The victim’s greed is their undoing. So perhaps we should be unsympathetic to the victims of scams? I don’t think so, I’m not that heartless but we do need to understand the various reasons why people fall for them. What’s more, while we can’t do much about stupidity and greed I still think we can do a lot to address naïveté. The solution is, of course, a mixture of education and protection. At Consumer Watchdog we do our bit to spread some education but the key area where we need action is consumer protection. It can happen, I know. In May this year the Australian Competition and Consumer Commission obtained restraining orders against three people who were trying to recruit victims into the ridiculous TVI Express pyramid scheme. This, by the way, is a scheme that operates in Botswana as well. I admire the Ozzies for taking action but the effect is just to move the scammers onto another platform. TVI is being overtaken by an almost identical pyramid scheme called Pyxism, also available here and also a pyramid scheme. So maybe education IS the only answer? Bantle and Nkemetse from Orange for helping a customer “tirelessly” and for knowing their jobs extremely well. Please confirm for me if this company, Ventura Capital Partners, is genuine. Their website looks real and they want me to invest with them but am a bit suspicious. When they called me they told me that they have the privilege of obtaining shares before they go into the market at very, very low prices and that if I invest with them they will buy them for me and by the time they go public and are open to everybody I will make money as I will sell at a high price. You are completely right to be suspicious about this company. There are too many warning signs. Firstly legitimate investment companies don’t call people out of the blue. It’s the other way round. They certainly don’t call you from the far side of the planet to sell you things. The company who called you is based in Grenada in the Caribbean, 10,000km away. As you say they have a web site that looks impressive but when you look at it skeptically there are some things that concern me. For instance they don’t mention the name of a single member of staff. There’s no profile of the management team, no glossy pictures of the Managing Director, nothing that you would expect from a legitimate company. In fact when I phoned them to ask the name of their Managing Director they paused, told me another call was coming in, put me on hold and then cut me off. Do you suspect they either don’t HAVE a Managing Director or he’s on the run from the cops? It’s not impossible that he or she IS on the run actually. A little research found that the Financial Services Authority in the UK has this company on a list of what it calls “Unauthorised overseas firms operating in the UK”. “transacting any financial activity with this entity will be doing so at their own risk”. Roughly translated this means that they’re not to be trusted with your money! I suggest that if you get a call from them you just hang up. Don’t feel the need to be polite. In July I threw a party for my son's birthday and I hired a professional events company to coordinate this party. I agreed a package with them involving 2 clowns, a jumping castle, video and pictures, chairs and tables, party decorations, music, games and party bags all for P1,750. I gave them a deposit of P200 and later paid them the balance. We agreed that they would to come to my home in Molepolole at 9am because the party was due to start at 11am. On the day of the party, I called him at 8am to give them directions and asked him when he would arrive. My assumption was that he would be on the way already, to my dismay he was still in Gaborone but he promised to leave soon. An hour later I called him again asking how far he was, but he was still in Gaborone. This routine went on until 12 noon. I called over and over but still they didn’t arrive as they promised. Finally they arrived at 1:30. They set up things but again they didn’t keep the agreement we had agreed. There were no clowns, just the two guys who put on orange wigs. They didn’t video the event, they only brought 8 balloons, there was no music, no party bags and no games. They brought a jumping castle but it leaked so it wasn’t inflated most of the time. By the time they set things up the party didn’t begin until 3pm. I called the organiser the following day about their failure to provide what I had paid for and told him I want a refund for all they didn’t do. I also told him that I wanted a photo DVD of the party which I still haven’t received. He said he’d call me back but I still haven’t heard from him. I don’t mean to minimise the difficulty you’ve had but this is really an incredibly simple case. You agreed a contract with these people. They broke the contract. End of story. I suggest you give them 7 days to sort this mess out. Tell them that if they haven’t given you a complete refund AND an apology in that time then we will name them in The Voice. Tell them that if this isn’t enough (it almost always is) you will go the Small Claims Court and obtain an order for a complete refund. The Small Claims Court is proving to be an extremely good source of enforcement for consumers like you and me. They offer swift and simple justice, exactly what you need in this case. You have been abused and disrespected and you deserve a refund. Let us know how they react to your demands. Let’s see if they want to be famous! We have been approached by a consumer in Botswana who was telephoned recently by someone from Ventura Capital Partners. They contacted us asking us to confirm the legitimacy of the company. I would be grateful therefore if you could respond to a couple of concerns. Also, the Grenada Authority for the Regulation of Financial Institutions (GARFIN) issued a press release in May this year stating that you are: "not licensed by GARFIN to conduct any type of financial activity in or from Grenada"
Can you perhaps confirm that you are the same company and if you have any reaction to these warnings? "Please be advised that we are the same Company listed on the FSA and Garvin websites and have been for some time. Our Clients have been aware of these warnings for sometime and quite frankly, they have no concerns (can he be serious?) about these warnings because they understand the reasons for not registering with the FSA. As far as Garvin is concerned we do not do any business with residents of Grenada and Garvin has been made aware of this (note that the GARFIN warning says this company is "not licenced to conduct any type of financial activity in or from Grenada). As you can see for yourself there is not one client complaint about our company and I would venture to say if we were doing something wrong you would see client complaints all over the internet (I think the FSA and GARFIN warnings are evidence enough, don't you? However, if you insist, see here, here and here). Mr. Harriman as far as the consumer who approached you: He was not cold called as you say, but rather was approached by a marketing company who asked this consumer if he would like to receive our free Company Newsletter and if something of interest presented it self, he would like to hear about it at which point he replied yes, if he had replied no he would not have received any correspondence or calls from our Company. Mr. Harriman, I suggest you get all your facts straight (they are) before making accusations as we do not force any person to receive our correspondence or to do business with our Company. Vice President Operations and Compliance"
Another interesting point. Do a Google search for "Bruce Johnson" and "Ventura Capital Partners" and guess what you find. Nothing. Is it possible that he doesn't actually exist? Meanwhile their phone number is never answered. Are they a real company at all? A reader received a cold call from a company in Grenada calling itself Ventura Capital Partners and asked us to check them out. It turns out they're not exactly squeaky clean. They appear in a list of Unauthorised overseas firms operating in the UK issued by the Financial Services Authority in the UK. "The Grenada Authority for the Regulation of Financial Institutions (GARFIN) would like to advise the general public that the following entity is not licensed by GARFIN to conduct any type of financial activity in or from Grenada. Persons transacting any financial activity with this entity will be doing so at their own risk. Please be guided accordingly." If you get a call from them, I suggest you just hang up. I received an email that invited me to participate in the Euromillions lottery. It wasn’t from the lottery itself but from another site that said I could enter for 2.10 euros per line. Do you think this is worth it? Firstly the chances of winning any lottery are so small that it’s simply not worth the bother. You must face a simple fact. In all lotteries you will win, on average, less than you pay to enter the lottery. That’s how they make money. Lotteries are designed to work exactly this way. What’s more, if you pay someone on your behalf to enter a lottery you will be required to pay them for their time and effort. That’s even more money you’re paying just so you can have the same chance of winning as someone who entered themselves, someone who didn’t enter through a third party. We’ve heard many times of these schemes and they are all worthless. This one looks particularly so. If you look closely at the email you received it came from someone using a Gmail address. This isn’t even a real company that is offering a service. Do you have any idea what that actually means? I emailed them to see what they have to say for themselves but I’ve heard nothing back yet. I earnestly suggest that you ignore this email and every email like it. It’s not going to win you a thing. It will lose you everything you give them, that’s guaranteed. I received an invitation from the Ideal Concept Foundation to attend a conference called “Modern Slavery and Human Trafficking” to be held in the USA and the UK. It sounds very interesting but I don’t know why they have invited me. They say they will pay for my air fare and accommodation in the USA but not in the UK which I must pay for. Can this be true? I want to attend but I am suspicious. You are right to be suspicious. This is certainly a scam, there’s no doubt about it. Firstly this is not how conferences are organised. Conference organisers don’t just email total strangers and invite them to attend. They certainly don’t offer to pay for air fares, accommodation and “feeding” like they did in the email you received. They also don’t demand money up front, as they undoubtedly will, for your UK accommodation. I’ll bet you that they’ll want to the money for the UK accommodation to be paid by Western Union before you attend. That’s what all scammers want. The other clues are the same as always. If this is such an important conference then why is it being organised by people who use a free Hotmail email account? Why don’t the so-called “Ideal Concept Foundation” have a web site? I’ll tell you why. It’s because there is no such organisation, it’s been made up by scammers to part you from your money. This is yet another “advance fee” scam. On this occasion it’s the up-front hotel bill that they are seeking. However anyone who has stayed in a hotel before will tell you that no hotel in the world demands payment up front. They might want to see your credit card upon arrival, they might demand ID, they might want some assurance that you’re genuine but nobody pays for a hotel stay before they arrive. It just doesn’t work like that. This is as scam, simple as that. Last week we advised a reader not to have anything to do with TVI Express, a pyramid scheme that trades in worthless travel discount vouchers. What they really want from you is for you to pay their joining fee and then to recruit other people beneath you who will, in turn, recruit others, each of whom will pay the US$250 joining fee. And what’s in it for you? Well, after you’ve recruited 2 people and each of them has recruited another two, and then all of the next layer have each recruited another 2, TVI Express give you a special gift of US$250. Wow. But isn’t that the money you already gave THEM when you joined? Yes, all you get back is your joining fee, after they’ve got the joining fee from the 14 other gullible fools beneath you in the pyramid. Big deal! The good news is that word is spreading about them. In May this year the Australian Competition and Consumer Commission got a restraining order against three TVI Express distributors forbidding them from promoting this ridiculous pyramid scheme. See, there are consumer protection bodies around the world that get out there and take the fight back to the enemy. Good for them. Meanwhile please don’t throw your money into any pyramid schemes, you’ll never see it again. Just as TVI Express begins to fade away, another one emerges. Be warned about Pyxism, a TVI replica that is doing presentations around Gaborone at the moment. Keep your money and don’t give it to Pyxism! I've had various conversations, emails and messages from Stock Market Direct over the last few months but I stil haven't been able to get answers to some simple questions. Here's my latest email to Tony Samuels, who their web site describes as their Managing Director. I sent this on 14th July but still haven't had a reply. We've tried to get together in the past but this hasn't proved possible. As you probably know I have some questions regarding SMD. I met with Lady recently but there were certain issues where she felt unable to answer and suggested that you might be able to assist. I understand that you "assist" your customers in opening trading accounts with PSG in SA. However is this not possible directly with PSG Online? You supply information on market issues to your customers but I believe this is sourced from Profile Media in SA. Their information is also available directly to any customer who opens an account with them. What does SMD supply in addition to Profile Media's information? The web site states that SMD "has been operating for several years with offices in Johannesburg, Mbabane, Maseru, Windhoek, and now Gaborone." However I can find no trace of SMD offices in any of these places other than Gaborone. There appears to be no company registered as "Stock Market Direct" in South Africa. Can you advise? There is a Stock Market Direct web site that appears to be registered in South Africa (www.stockmarketdirect.co.za) but this seems just to connect to Profile Media resources. The telephone number given (011-728 5510) is that of Profile Media. Curiously the "Contact us" link addresses an email to claudia@stockmarketdirectbw.com. Can you explain this? Finally the Botswana web site states that SMD provides "services in the financial services arena". Is SMD registered with NBFIRA? TVI Express - have they disappeared? 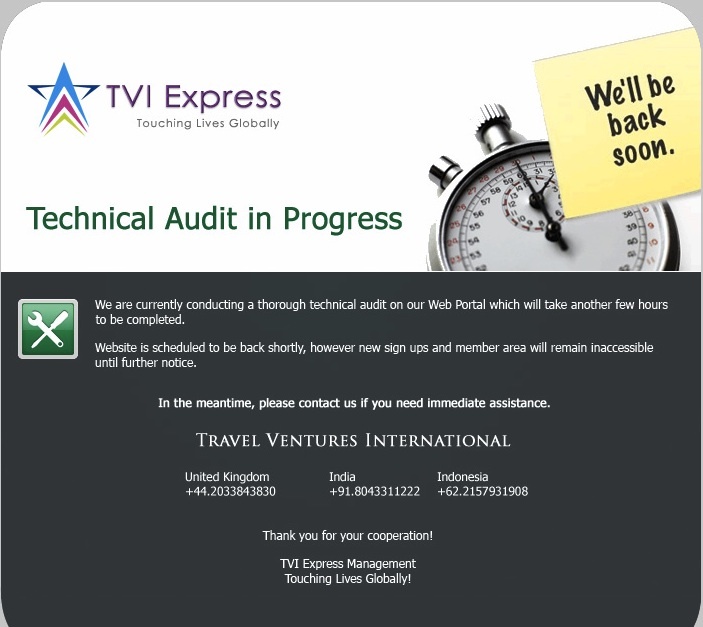 Curiously the TVI Express web site appears unavailable due to a "Technical Audit in progress", whatever that means? Does it, by any chance, mean these crooks have gone out of business? Here's hoping but be aware that they are being replaced with the equally pyramidical Pyxism. Of course I’m not going to say that all consumer problems are as serious as fighting against hordes of homicidal fascists even though there are sometimes resemblances. There is a certain store owner who I’m convinced is on the run from the International Criminal Court in The Hague but he’d probably have me killed if I said which one he was. But Churchill’s quote is relevant. Yes, he was saying to the world and Hitler in particular that he and the Brits wouldn’t give up without a fight but I think he really did mean the small things, the petty things as well. He was right. Even in the small things principles matter. Mmegi readers may recall the problem we reported a few weeks ago concerning the Hyundai dealership across the border in Rustenberg. Our reader’s Hyundai had broken down there last October. Quite sensibly she had the car towed to the Rustenberg Hyundai dealership for repairs but that’s when things started to go wrong. Instead of fixing the car they proceeded to claim to repair it and allow her to drive it away on TWO separate occasions, only to have it break down both times within 10km of the dealership. They helped her run up an enormous phone bill and took a total of P20,000 from her for the repairs. When we first got involved they even claimed never to have heard of this customer and it was only when we forwarded them the 4,000 words of email correspondence between them and her that they remembered. Since then they’ve claimed to fix the car yet again but they say they will only give it back to her if she gives them another R6,500 for the latest repairs. It really does look like they are planning to repair or replace every part of the car until it works again. We had a very frustrating time trying to get the dealership to pull their finger out of whatever orifice contained it but then something surprising happened. The message got through to the right people. Now of course as I write this it’s not yet Monday and I don’t know if things really will happen but the consumer and I are feeling more optimistic than at any time since we got involved. We’ll keep you updated on the progress on our blog. We also had a similar but not nearly as serious case with BTC. A customer logged a problem on our Facebook page telling about the problems they had getting their company switchboard working. The details aren’t relevant but she was passed repeatedly between BTC and the switchboard supplier, ended up paying out some money, became extremely frustrated and then got in touch with us. We passed the complaint through to the right people at BTC and the following day the problem was fixed. Quickly, without any fuss or argument. Happy customer. The lesson is Churchill’s. Never give in. Both of these customers started to wonder if the problem would ever be resolved and were feeling pretty despondent. But they didn’t give in, they persisted and eventually their problem was fixed. Well, almost. We’ll update you on our blog and the Facebook page what happens with Hyundai and whether the customer gets her car back. Last week Daphne Matlakala retired from the Attorney General’s Chambers after 33 years of service. Daphne was in charge of Legislative Drafting, the team of extremely bright people who write our laws. I believe it’s a tribute to Daphne and her team that our laws are so comprehensive, powerful and easy to understand. Her team’s hard work has given us an enormous national asset. The Consumer Watchdog team wishes her a long and happy retirement but we suspect it won’t be a retiring one. Much love from us all. Botho at Nandos at Game City for her amazingly friendly welcome and service. Anno and her team at BTC for getting involved and fixing a problem so swiftly. Daphne Matlakala, a national asset. A few weeks ago me and my workmate were approached by a lady claiming to be a representative of TVI (Travel Ventures International) which claims to be selling travel packages to people. Apparently you become a consultant with them and sell travel packages. You join by paying a fee of P2,100, then you get 8 nights free to a 5 star hotel and discount in car rentals and flight tickets. From there you look for 3 people to join under you for which you will then receive $500 in reward and climb the ladder until you get $10,000. Well I have been thinking of joining for a while. The company has meetings in the evenings on Sundays. Well before I get ripped off I want to know the real truth. Is this is a multilevel company like Amway? You are very wise to be cautious. Very wise indeed. We first reported about TVI Express in February this year when another consumer asked us a very similar question. I think it’s worth repeating the advice we gave again as a warning to all readers of The Voice. TVI describe themselves as a Direct Selling company which is just another way of describing Multi-Level or Network Marketing schemes. Others would just describe them as a pyramid-structured selling scheme. As with all MLM schemes they have a very glossy looking web site that is full of pictures of happy smiling people, rainbows, private jets, sunshine and empty promises. Their main page includes an invitation to find out “how a few extra hours can build a Multi Million Dollar Business for you and your family”. So all you do is join, pay them the joining fee of $250, then recruit two other people and money miraculously appears from nowhere? TVI is a classic pyramid scheme. What you do is recruit two other people, encourage them each to recruit another two and so on down the pyramid. Every recruit must pay the $250 entry fee and those amounts soon mount up. Once you’ve recruited 3 levels beneath you (15 victims, 6 who have recruited others) you get $250 cash and a $250 holiday voucher. But that’s after TVI have earned a total of $3,750. Your $250 isn’t much of a reward is it? Your network must grow even more if you want to get to the next reward level. They claim that when you have 7 levels beneath you (255 people, 127 recruiting others beneath them) they’ll give you a massive $10,000. But that’s after TVI has earned a massive $63,750. Again that’s not so impressive is it? But anyway, let’s get real. Do you really think that your team will be able to find 255 people stupid enough to fall for this hogwash? TVI promise to give you all sorts of vouchers for holidays as you build your network of fools. They promise “incentives ranging from Luxury cars to Private Jets and Splendid Villas in exotic locations around the world” but that’s just another part of the scam. What use is a holiday voucher if you can’t afford to go on holiday? Like all pyramid schemes TVI WILL fail. Even the “legitimate” MLM schemes like Amway, who at least have products to sell, have been forced to concede that only a tiny minority of people who join make any profit. TVI is simply unbelievable and should NOT be trusted. It’s a pyramid scheme and I guarantee that if you give them your money you’ll just be throwing it away. I cant keep this to myself. You re kindly invited to a launch of Pyxism Inc at Maharaja Conference Centre, on the 01st -02nd August 2010, time 1800hrs. Let's ignore the spelling and concentrate on the warning signs: "best network marketing company of our times", "into travel and tourism" and the magic word "voucher". It's TVI Express all over again. "The Australian Competition and Consumer Commission has acted quickly to obtain orders restraining three individuals from promoting an alleged pyramid selling scheme called TVI Express."